San Francisco – Hot on the heels of their critically second album Die Neuen Welten, Krautrockers Hedersleben will be releasing the progressive rock concept album The Fall Of Chronopolis on November 20 on Purple Pyramid Records. Hedersleben’s second, highly acclaimed album Die Neuen Welten featured guest vocalist Kati Knox, and was again recorded at Megasonic Sound in May, 2014. Side A of Die Neuen Welten was set to film by San Francisco filmmaker Erren Franklin. A one-off gig in June, 2014, featured special guest Captain Sensible on second guitar. The show was filmed at 1-2-3-4 Go! Records in Oakland. In August, 2014, Hedersleben took to the road again on a repeat of the previous year’s tour with Nik Turner. Again Hedersleben both opened for and backed Turner. Hedersleben’s third album, The Fall Of Chronopolis is released to coincide with their third national tour, again opening for and backing Nik Turner. The thrilling third album from Hedersleben follows the epic story of the rise and fall of the Chronotic Empire based on the book by Barrington J. Bayley. – packaged in a 6 panel digipak for CD and a gatefold for the vinyl! Here’s what the press have raved about Hedersleben! 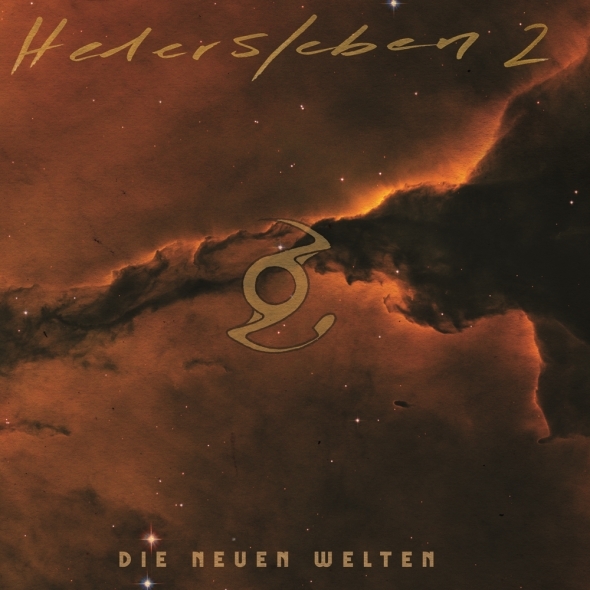 San Francisco, CA – Hedersleben, the cosmic Krautrock outfit from Oakland, California, featuring UK Subs member Nicky Garratt, are set to release their second album, ‘Die Neuen Welten,’ on August 26th, 2014. Hedersleben originated through the paradoxical paths of playing clubs in the streets of Oakland and The Kosmische Musik Zentrum Projekt in Hedersleben, Germany. In their first year, they have recorded two full-length albums as Hedersleben and gone on to record with the likes of Brainticket and Hawkwind’s Nik Turner. Hedersleben were featured on the new Brainticket album with founding member Joel Vandroogenbroeck (due for release later this year) co-writing a number of pieces, and various members played on Nik Turner’s acclaimed album, ‘Space Gypsy.’ In 2013 Hedersleben went on tour with Nik Turner, both as his backing band and opening act. These sonic explorers of the universe are keeping busy; late August will see them again joining Hawkwind’s Nik Turner on the late Summer/early Fall tour of North America. On the 2014 North American tour, Hedersleben will back Nik Turner as well as promote their new album, ‘Die Neuen Welten,” while introducing new pieces from their next record, ‘The Fall of Chronopolis,’ due to be recorded in 2015. Die Neuen Welten ( THE NEW WORLDS ) – In 2009, Nasa launched the Kepler space telescope. Kepler discovered nearly 1,000 confirmed extrasolar planets in 76 star systems and thousands more that are yet un-confirmed. Die Neuen Welten is an aural expedition into this unveiled realm of new worlds out there in the darkness. Die Neuen Welten is due for release August 20th with a youtube video (Zu Den Neuen Welten).